Civilians are paying an “unacceptable” price in the siege of the city of Raqqa, a top UN human rights official has said, adding that the US-led coalition may not be respecting the principles of international humanitarian law in its “intense” airstrikes. The multi-ethnic Syrian militia known as the Syrian Democratic Forces (SDF) and dominated by Kurdish YPG units, supported by the US-led coalition, launched the offensive in Raqqa province in November last year. In June, the fighting progressed towards Raqqa city, a de facto capital of the self-proclaimed Islamic State (IS, formerly ISIS/ISIL) terrorist caliphate. 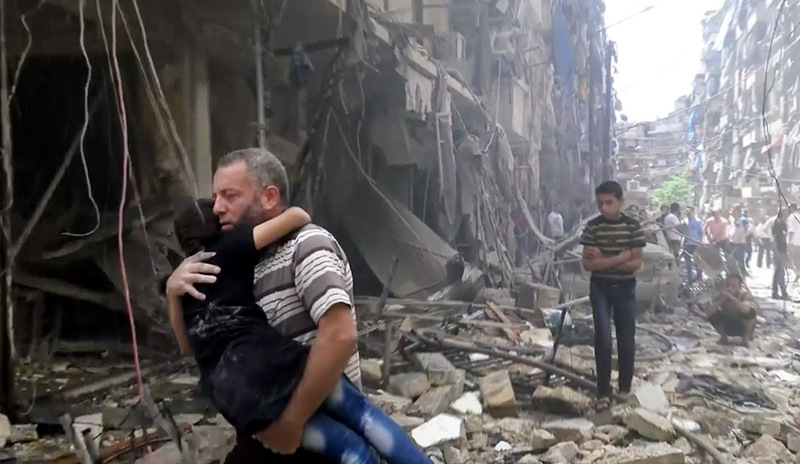 Up to 25,000 civilians are still trapped in the besieged city, the under-secretary-general for humanitarian affairs and emergency relief coordinator, Stephen O'Brien, told the UN Security Council Wednesday. Zeid Ra’ad al-Hussein, the high commissioner for human rights, said on Thursday that his office had managed to verify reports of 151 civilian deaths from six aerial or ground operations over the course of August alone. “Given the extremely high number of reports of civilian casualties this month and the intensity of the air strikes on Raqqa, coupled with ISIL’s use of civilians as human shields, I am deeply concerned that civilians – who should be protected at all times – are paying an unacceptable price and that forces involved in battling ISIL are losing sight of the ultimate goal of this battle,” Zeid said in a statement on Thursday. I am extremely concerned that in its conduct of hostilities, the attacking forces may be failing to abide by the international humanitarian law principles of precautions, distinction and proportionality,” Zeid added. Between August 1 and 29, the coalition reports that it conducted 1,094 airstrikes on and near Raqqa city – up from 645 last month. In July, throughout the whole of Syria, a total of 885 airstrikes were conducted by the coalition. Earlier, the UN estimated that 27 civilians in Raqqa were being killed in the fighting each day.